Punching tool MultiTool for turret punch presses. Supply of stamping tool of MultiTool system in the standard or specialised forms according to customer’s specifications (turret punch presses). Main advantages of using MultiTool: Allows to increase the usage of tooling on one station from 3 units up to 24 units. Saves time spent on tooling equipment, as MultiTool is installed in the fully equipped form. The following features improve the tool’s resourcefulness: special tempering of the punch, tool coating (TiCN – cubrid titanium nitride), dies made of high speed steel (HSS) with increased durability. System MultiTool is available for order from various manufacturers (see table below). 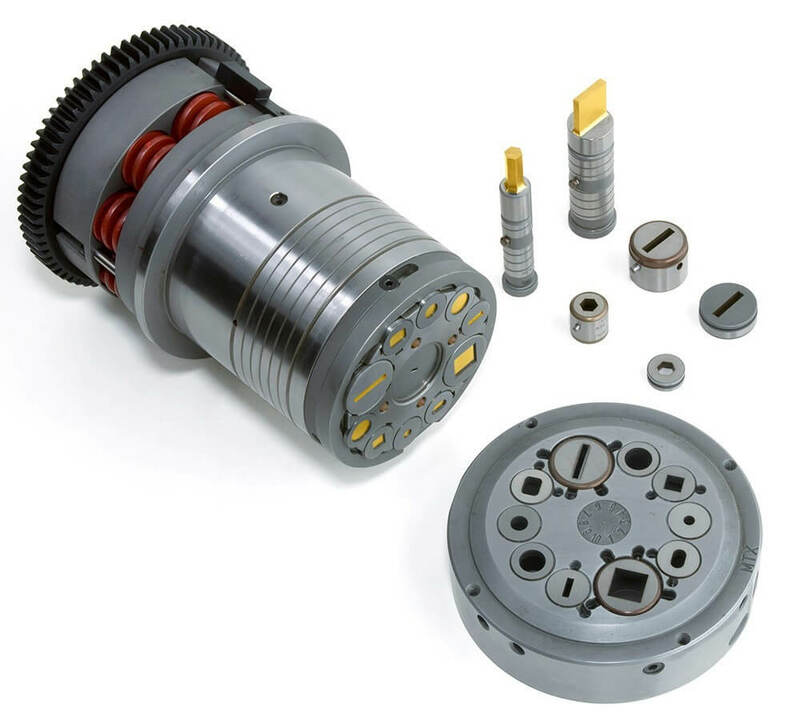 We also supply grinding tools for punches and dies of turret punch presses for all systems.